Richard Gere is said to live in Pound Ridge estate in New York. He is married to actress Carey Lowell and he has a son named Homer James Jigme Gere who was born on the 6th of February in 2000. Gere is a popular American actor and humanitarian whose career started in 1970. Some of his famous films include Pretty Woman, An Officer and a Gentleman, Primal Fear and Chicago. Gere was born on August 31, 1949 in Philadelphia, Pennsylvania. His parents were Doris and Homer Gere. Gere’s son is named after his father who worked as an insurance agent. He has four siblings (three sisters and a brother). He excelled in gymnastics in high school and got into Massachusetts University on a scholarship. However, he did not complete his college education and pursued a career in the movies instead. Richard Gere’s career began on stage. One of his first major roles was in the London stage version of Grease in 1973. From here, Richard Gere made the leap to the movies. He appeared in the 1977 suspense thriller, Looking for Mr. Goodbar. He followed this up with a critically acclaimed performance in Days of Heaven. His career blossomed when he starred in the 1980 film, American Gigolo. In 1982 he starred in An Officer and a Gentleman, which raked in over $100 million dollars at the box office. Gere’s subsequent movies failed to make an impression at the box office. But in 1990, he made a come back of sorts with the hit films, Internal Affairs and Pretty Woman, the latter with Julia Roberts. This was followed by other films including Sommersby with Jodie Foster and Runaway Bride, where Richard Gere teamed up again with Julia Roberts. The latter was a hit in the U.S. and other parts of the world. His other works include The Mothman Prophecies, the thriller Unfaithful and the musical Chicago for which he won a Golden Globe award. Gere’s most recent works include, Nights in Rodanthe, Amelia, Hachiko: A Dog Story and Brooklyn’s Finest. Although raised as a Methodist, Gere became fascinated with Buddhism when he went to Nepal in 1978. He is not only a practicing Buddhist but also an ardent supporter of the Dalai Lama. He is the co-founder of the Tibet House and he is the creator of the Gere Foundation. Gere is also the chairman of the International Campaign to free Tibet. In 1993 Richard Gere was forbidden from presenting in the Oscars when he lambasted the Chinese government during the show. He also protested against the holding of the Olympic Games in Beijing. Gere is also actively involved in campaigning for AIDS awareness. He helped set up AIDSCARE, a facility in India that helps women and children afflicted with the disease. He is also a director on Healing Divide, an organization that seeks to promote peace and understanding among nations. He is also a campaigner for Survival International, a group that aims to preserve the rights of tribal peoples around the world. He has also set up the Gere Foundation India Trust. This facility aims to help raise funds and support humanitarian projects in the country. 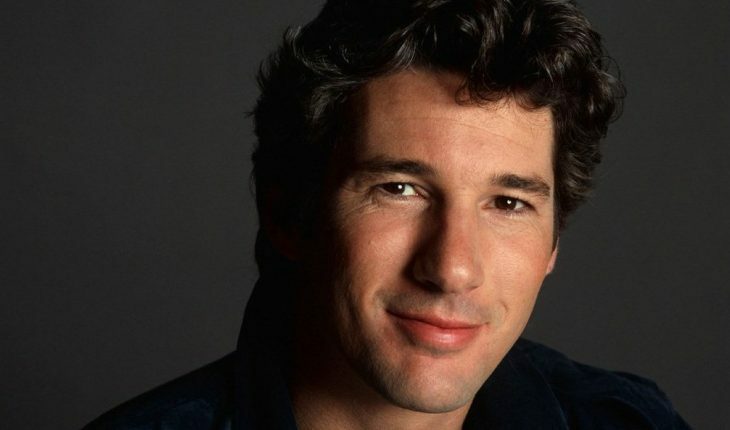 In the year 1999, Gere was voted as ‘the sexiest man alive’ by people’s magazine. Gere is not only an engaging actor but also an accomplished pianist. He composed and performed the piano solo performance seen in Pretty Woman. Gere’s son’s name is Homer James Jigme Gere. ‘Jigme’ means fearless in Tibetan. Gere decided to turn down the role of Gordon Gekko in the film, Wall Street but later said that he regrets letting go of that role the most. Gere’s natural hair color is said to be blonde but he is well-known for his silver grey hair. A lot of celebrities have gotten involved in charitable causes and Richard Gere is one of them. He has used his popularity to help raise awareness on a number of health / political issues. Such is his involvement that the issues have become virtually synonymous with his name.